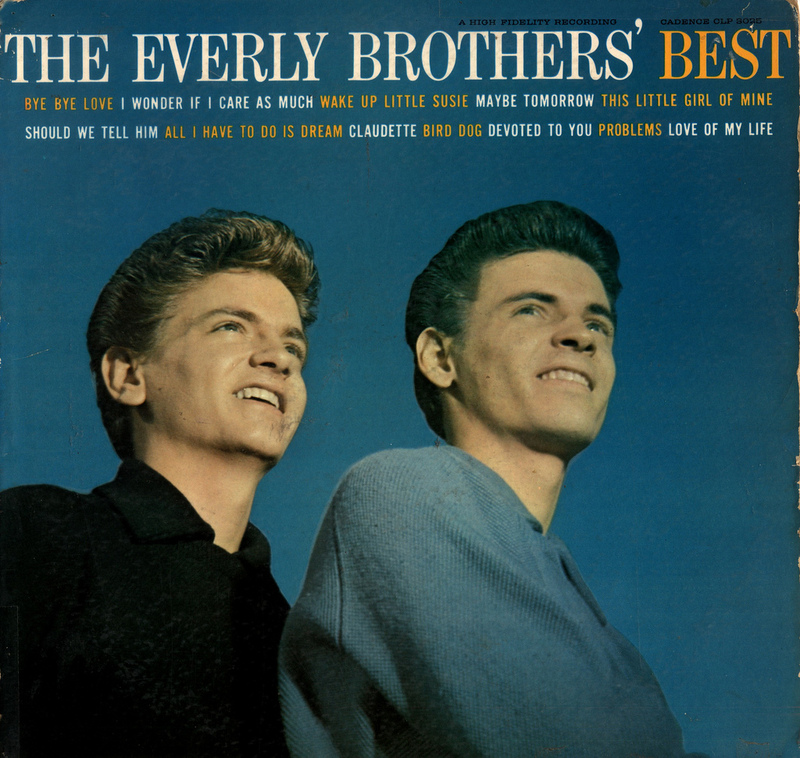 The Everly Brothers released Bye Bye Love in 1957. It would propel Don and Phil Everly to music stardom. Not bad for a song they found in the proverbial junkpile. The song had been considered, and rejected, by 30 other performers before them. Maybe the Everlys had a thing for the underdog; A year earlier, when their first single with Columbia records flopped, the brothers had been promptly told “Bye Bye”. They recorded this song with Cadence Records. It went all the way to number 2 on the Pop charts, planted firmly behind Elvis Presley’s “Let Me Be YourTeddy Bear”. It went to number 1 on the Country charts, though. Three decades later, In 1986, the Everlys were elected into the Rock And Roll Hall of Fame. The brothers have a “non-Elvis” Graceland connection. Don and Phil sang back-up on Paul Simon’s 1986 hit “Graceland”. Hear them in action right here.